In four years, Cameron has told just two truths, and those were uttered inadvertently. 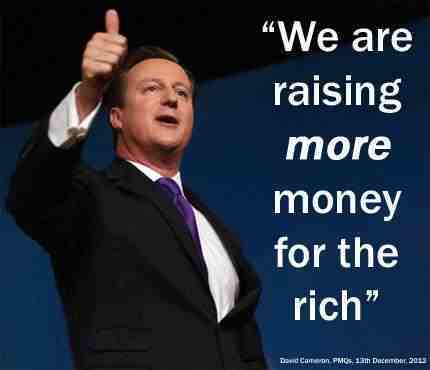 The only other truth Cameron has ever told is: “We are raising more money for the rich,” which was blurted out during Parliamentary debate on 12th December 2012. 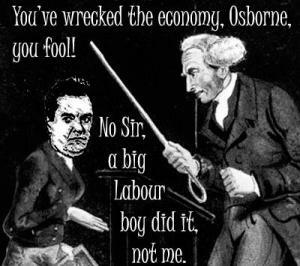 This was a memorable Commons debate, with Ed Miliband delivering some outstanding challenges to David Cameron, some of which provoked the Freudian-style slip, and exposed the traditional Tory values and ideology underpinning their policies. These are such rare, historical occasions that simply ought to be reported.